We are so excited to announce that here at the Claudia & Company Challenge Blog we are looking for a few good designers. Have you ever thought of being on a design team? 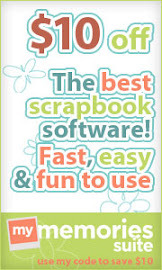 Do you enjoy crafting with fun and fresh digital images and paper craft lines? Are you a person who loves to interact with others, sharing ideas, encouraging creativity and inspiring new levels of excellence? Well, if you answered "YES" to any of these questions…we are interested in YOU! We welcome you to apply for the design team using the guidelines listed below. Please read the information carefully and give it some consideration. We are looking for designers with all levels of skill and craft abilities. So…what are you waiting for? Submit your DT application today! *Due to shipping. Our apologies to all of our talented international friends. MUST be able to take quality photographs of your work. Maintain an active public gallery of your work via PCP, SCS or any other craft gallery you may be part of. Spreads information via blogs, social sites (i.e. Twitter, Facebook, MySpace, etc) or any other social networking site where it is acceptable to do so. Especially regarding new releases, special sales events at the Claudia & Company Store and Challenge Blog. Term is six months. We strive to keep this a fun, friendly, supportive and positive site. We encourage you to participate in group conversations and enjoy your experience. 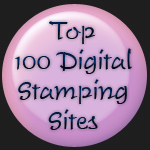 All DTs are to be exclusive to Claudia & Company as web store designers. You may still design for kit clubs, challenge sites, manufacturers, etc. Monthly discount codes for purchases made at Claudia& Company. (Details given once you are accepted on the team. v Why are you interested in joining the Claudia & Company Design Team? v Are you currently designing for another website/company? If so, who? For serious consideration we encourage you to join in on 2 of the next 3 challenges hosted on the Claudia & Company Challenge Blog. Please type, DT ENTRY after your name in the entry submission.